On this website you will find many powerful online songwriting tips that take your songwriting to the next level. The reason for all this research was simple. I was TERRIBLE at songwriting and I was determined to turn things around. I had this “itching” feeling that there was more potential… more ability within me that was not yet uncovered. And the results of this research? For one, my creativity simply exploded. In amongst the research I discovered that 99% of people only use a tiny fraction of their potential creativity. I also learned simple “tricks” that would allow this “hidden creativity” to emerge. When I made these adjustments in my songwriting approach, my ideas became incredibly creative and high quality. Another effect from this new approach is my songs became very original… I developed a personal style that is unlike anything else, and in no way could be replicated. Let me give you some online songwriting tips to allow you to experience this for yourself. Firstly, if you want to become a true songwriting master, you can get access to ALL of my research… including the most powerful principles and techniques… in my course The Songwriting Genius Within You. To Learn About This Course Click Here. Secondly, here are a few of the most important articles published on this website. Inspired by the leader in accelerated learning and creativity, Win Wenger, this songwriting technique will cause more musical growth than 99% of any other technique you will find. Compose Music Like A Genius? This report takes you through the 3 reasons why some songwriters reach “genius” level, while the other 99.99% stay very “average”. 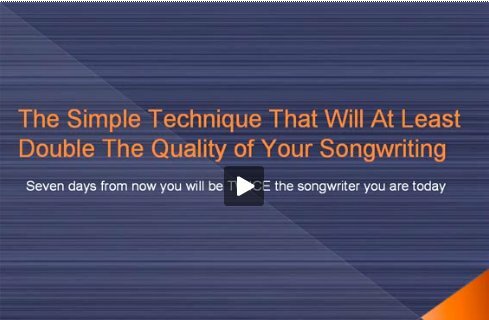 It contains some crucial insights, as well as techniques that will allow you to write songs more like a “genius” does. Enjoy these online songwriting tips ,and good luck in your songwriting!